Welcome! to the official site of Rev Dr Nancy Ash, DD, PhD. You've been guided to 360 spiritual healing methods, a spherical stress management process for these challenging times of awakening. "Like" 360 on Facebook for inspiring quotes, photos & excerpts from my first book, Doing a 360: Turning Your Life Around to Follow Soul's Purpose. 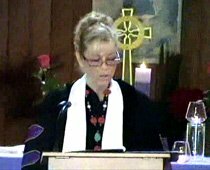 Devoted to a spiritual life in service for 35-plus years uplifting humanity by empowering individuals to "Do a 360" with their lives, Rev Dr Nancy Ash, DD, PhD is a heart-centered mystic of the sacred, ancient ways. A cutting-edge pioneer in Oneness Consciousness she's a gifted mentor/professor, healing arts practitioner, author, TV host, and former radio network director/ talk-radio co-host with a passionate, creative multi-disciplinary approach. Dr Ash is worldwide NewEarth University Director with the ground-breaking, NewEarth Project since 2014. Awarded a PhD in Religious Studies from Metropolitan University, and a Doctorate of Divinity Degree (DD) in Metaphysics and Spirituality from ADL, Nancy was initially called to service and ordained in 1985 as an interspiritual minister. Professor Ash is presently President and Dean of the School of Interspiritual Studies at the New Earth Theological University (online). She's also a federally-recognized senior minister, ministerial trainer and doctoral mentor for The Alliance of Divine Love Seminary (ADL). 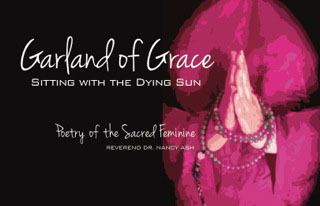 Nancy is author of a life-changing spiritual guide-book entitled, Doing a 360: Turning Your Life Around to Follow Soul's Purpose, and a poetry collection, Garland of Grace (published in 2014). After three years of study in NYC at the School of Visual Arts (SVA), Nancy received a BA in Creative-Expressive Therapies from the University of Maryland. Since the '80s she's been a nationally certified wellness instructor featured in Creative Wellness by Michelle Lusson, published by Warner Books, 1987. In 2010, as producer & radio co-host she launched a weekly, spiritual program "Consider This" picked up by The Art of Living Well (TAOLW) Network on blogtalkradio.com. 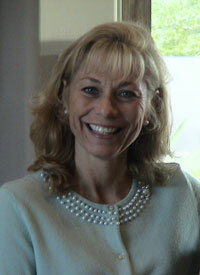 Nancy took over as a Network Executive Director from 2013-15. In 2015, she transitioned into alternative TV creating and hosting Kaleidoscope, an in-depth educational full-spectrum talk-show of the NewEarth University launched by New Earth Nation TV Network at their YouTube channel. A devoted raja (hatha) yoga and meditation practitioner (rooted in the Tibetan Dzogchen tradition and Sivananda school) since 1973, Nancy is a Spiritual Life Coach and stress-reduction healing conduit. She has 14,500-plus! hours of teaching experience, holding highest level of registration (E-RYT 500) with Yoga Alliance. 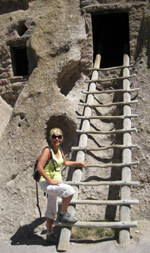 Nancy loves Yoga Therapy, and is a longtime member of IAYT (International Assoc. of Yoga Therapists). In tandem with that... Nancy Ash is the founder of 360 Yoga (2006), a compassionate, integral style of yoga for all people that emphasizes a conscious awareness of the Soul during sacred practice from the heart. Dr. Ash is honored to currently serve as a Founding Trustee (2015 - ) for the unprecedented, International Tribunal for Natural Justice (ITNJ.org). She served as a Global Council Member for four years at Humanitysteam.org, a worldwide not-for-profit organization promoting Oneness. Rev. Ash was also a board member (2012-14) for a not-for-profit, Bullet in Flight, which promotes unconditional love and acceptance for all, addressing LGBT, bullying and domestic violence issues in her community. In 2014 she was elected to the Board for Metropolitan University and presently serves on the Board for New Earth Theological University. Nancy is creator/managing editor of this site, Doing a 360, which guides good people like you on a full-circle journey to life-changing, spiritual healing methods such as meditation. Doing a 360 (three-sixty) is the theurgical (from divine intervention) embodiment of her life-work as a Spiritual Life Coach and Mentor with thousands of wonderful folks from all walks of life. Her gift of midlife coaching is to empower individuals to awaken themSelves, to "see" a 360-degree view of life in the present moment. That all-encompassing conscious awareness is from Soul. 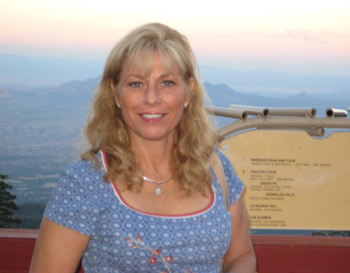 Online Midlife Coaching for YOU. Let's continue the sacred journey: Click to read more about a 360 Spiritual Stress Management Process for the 21st Century, a new blueprint for body, mind, Soul/Spirit. There are many articles for you; most are short, sweet and inspirational. Please consider reading, Doing a 360: Turning Your Life Around to Follow Soul's Purpose. My newest poetry book is now available, Garland of Grace and, tune-in to complimentary TV and my archived radio shows. InJoy!